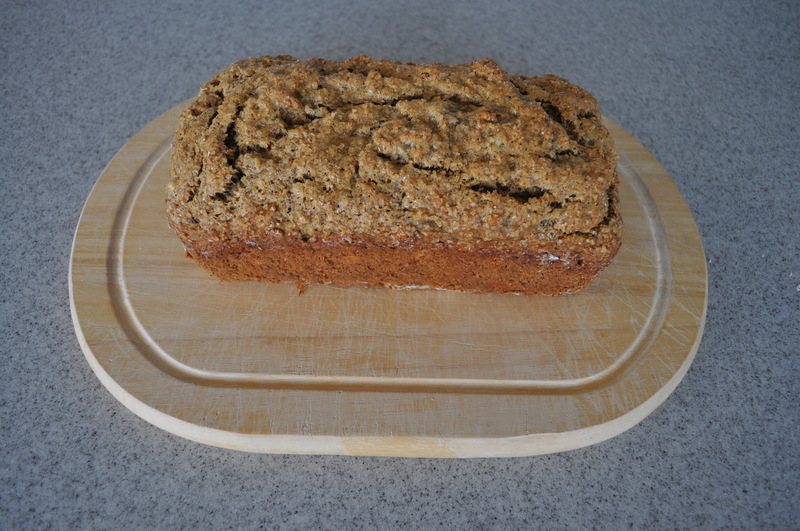 Maple-Oat Banana Bread – Got Nourishment? Now you might be surprised by the addition of apple-cider vinegar. I admit, I had to look up what the purpose was! 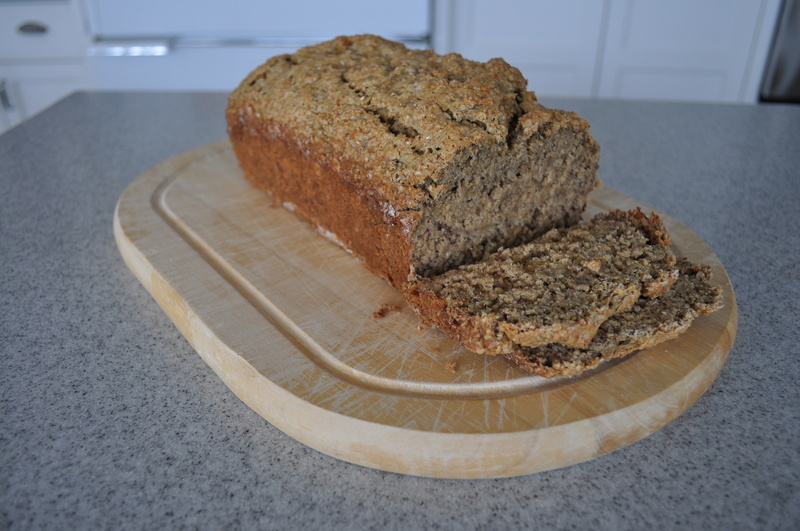 The apple cider vinegar (any vinegar or acidic substance would work) reacts with the baking soda to produce carbon dioxide, which gives the bread a little lift when baking (it acts as a leavener). The apple cider vinegar, in this case, is masked by all of the other flavors, so you don’t have to worry about your bread tasting like vinegar. I used Smart Balance spread and white flour. Tip: use a paper towel to grease the pan. Then dump a spoonful of flour in and tilt the pan until all sides are coated. Dump out any excess flour. 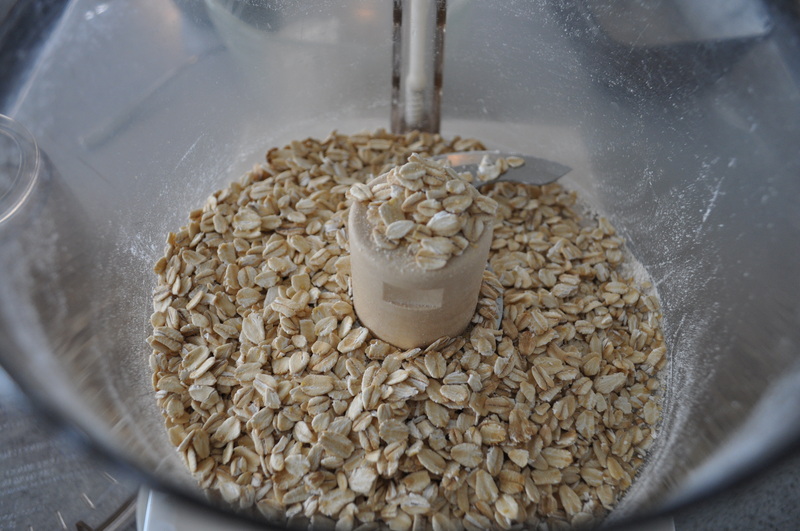 You can make your own oat flour by simply blending rolled oats in a food processor. I used a potato masher to mash the bananas. It makes it fast and easy! Try not to leave any big chunks! Sprinkle the top with some sugar for a satisfying crunch! I like the texture that turbinado sugar (sugar in the raw) provides. Let cool slightly before removing from pan. Nice and moist 🙂 I ended up baking my bread for 35 minutes. Preheat oven to 350 degrees Fahrenheit. 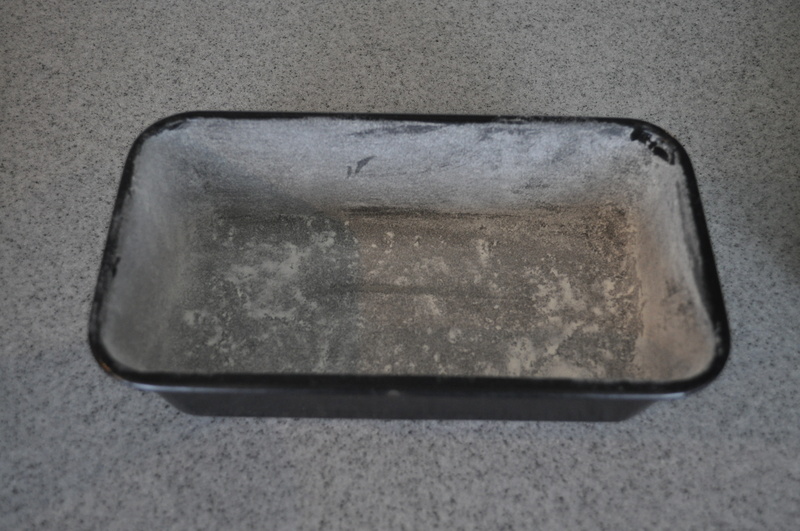 Grease and flour a standard loaf pan. 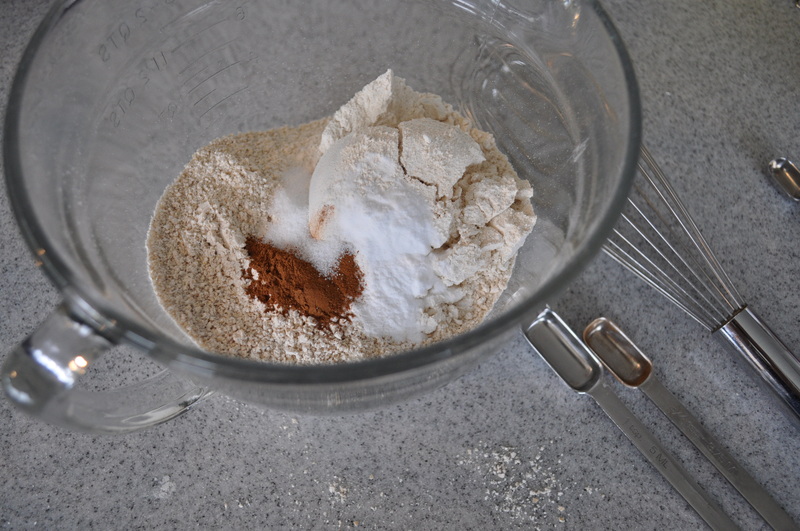 Mix the flours, baking soda, cinnamon, and salt in a medium bowl. Set aside. In a small glass, mix together the milk and vinegar. 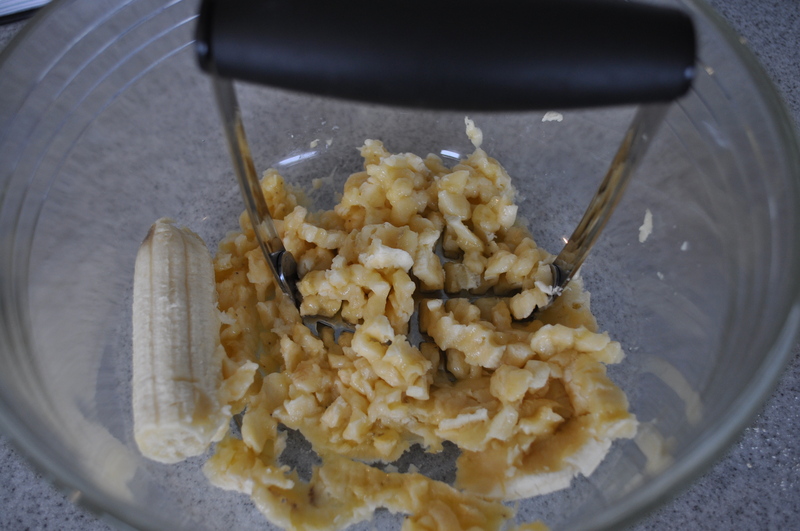 Mix together the mashed banana, maple syrup, olive oil, and vanilla in a large bowl. Add the milk mixture and blend. 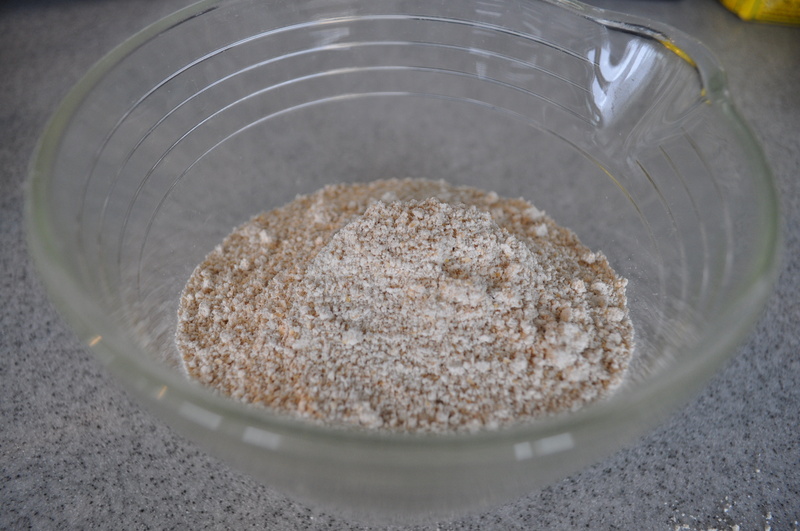 Add the dry ingredients to the wet ingredients and mix until there are no more dry spots in the batter. 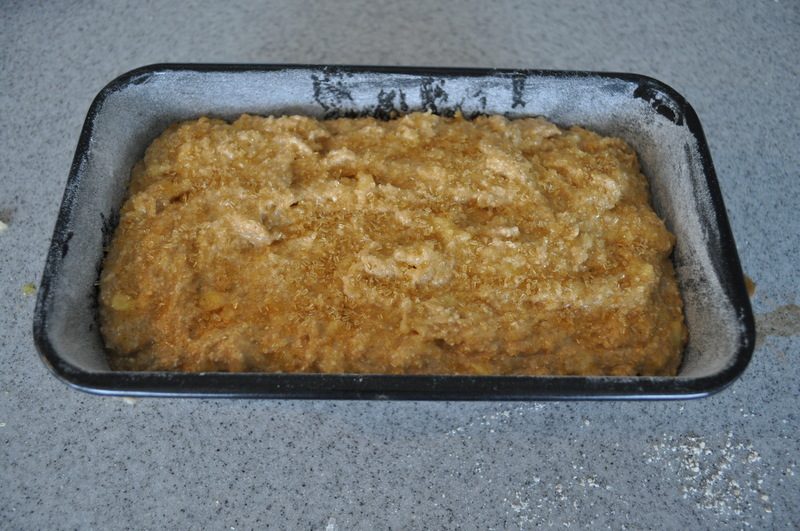 Pour the batter into the loaf pan and sprinkle the sugar over the top. Bake until the top is golden and a toothpick comes out clean, about 30 to 40 minutes. Let cool slightly before removing from pan. 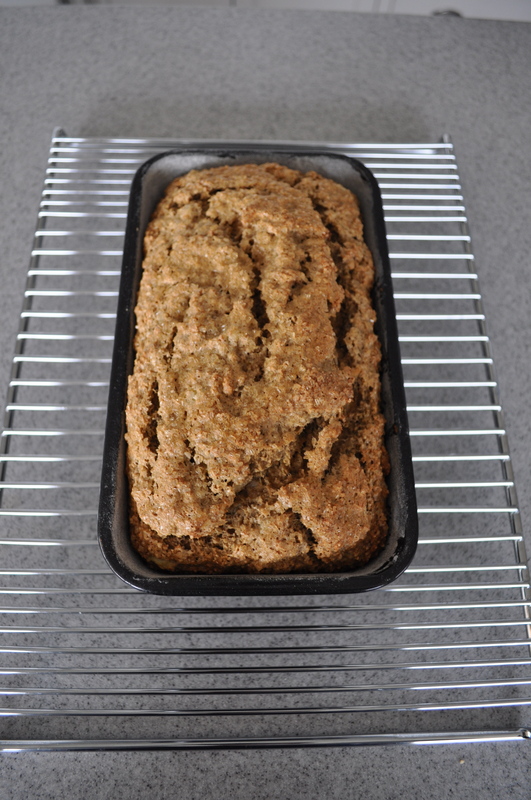 It helps to run a metal spatula around the sides before carefully “dumping” out the loaf. I just made this for New Year’s Day to follow my commitment to improve my cooking by cooking at least one thing a day. I made it with a couple of mixing bowls, a Magic Bullet, a fork, and a spatula. It turned out great! I concur that it has a mild sweetness that is not overwhelming. it is a hit!